Skye is trying to overcome what happened with Sean. Now that she’s slowly healing, both physically and mentally, she’s determined to do something she should have done sooner. She’s meeting twice a week with a new, very young therapist, Dr. Marshall. There, she’s able to talk freely, unwind, and question things. Most of the sessions she talks about herself and her hangups, along with her relationship with Duke, which is still on rocky ground. As days pass, Duke is showing over and over how vulnerable he truly is and how Skye has more power over him than she ever imagined. When Skye sees how they keep hurting each other, she’s determined to do everything in her power to make things right, no matter what the cost. But one thing is still sure; she can count on Duke whenever she needs him, even if they disagree and fight. When Duke loves, he loves with everything he’s made of, the good and the bad. 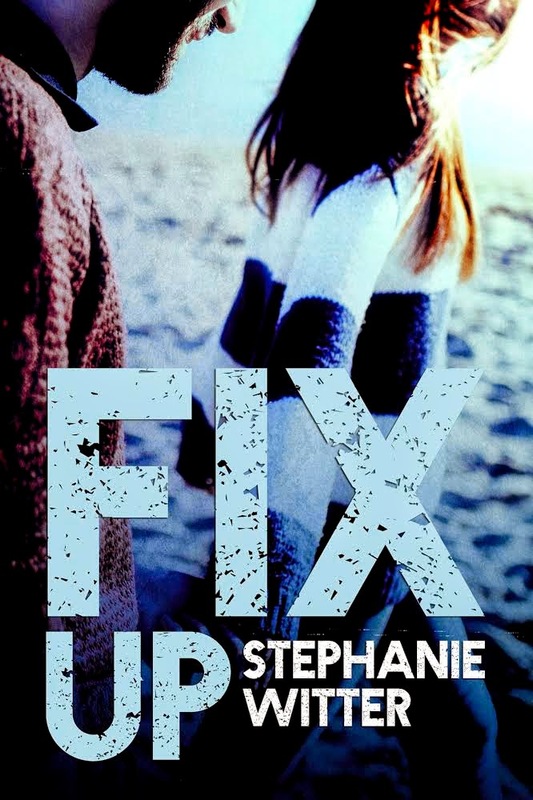 Join the party to celebrate Fix Up's release! Skye followed her long time boyfriend to Seattle for their first year of college, but he dumped her after only a week. The relationship brought only pain and destruction in Skye's life, and yet, she can't bring herself to open up and live her life. "What if I am already broken into pieces?" "I'm the guy who knows how you can hurt so much that your insides feel like they're cut and bleeding." The tall, handsome, and tattooed TA in her psychology class changes everything when he literally collides with her and confronts her. For the first time in a long time, she wants to try and open up to this guy whose dark, intense eyes can't hide his own pain despite his dazzling smile getting to her. However, just when she's starting to live again, her ex-boyfriend comes back, breaking her time and time again, making it all the more complicated. "I never thought colliding with someone could change lives, but it is possible." 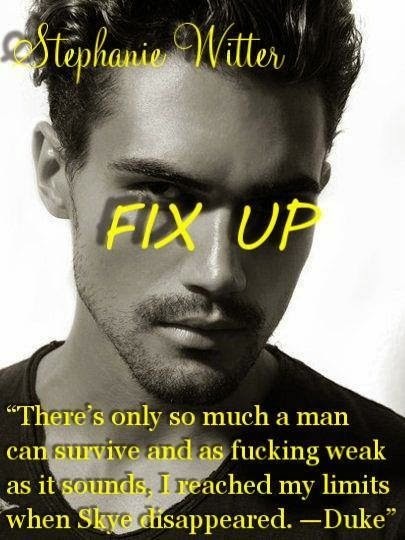 In Patch Up and Fix Up you had Skye and Duke’s story. Now, it’s time for Derek and Kate to find their path. He fights for the people he loves. Kate Andrews is starting her second year of college in Seattle. She is happy to leave Chicago and her dysfunctional family behind to be with her friends again. Growing up she thought that her parents' loveless marriage was all her father’s fault, but that summer she discovered that things are so much more complicated in life and love. Her mother is bipolar. That doesn’t mean her father isn’t unfaithful, nor does he support her and her choices. Additionally, he isn't a great father or husband, but it brings a new perspective in her life; the way she envisions love. Derek Williams graduated college a few months ago, and while he moved back in again with his single mother and teenage brother, he never thought that he would be struggling with two crappy jobs. He is not succeeding in either of his jobs or in his countless plans for the future. Instead, he’s trying to bring back his brother and set him on a straight path, while trying to avoid the wrong crowd hounding him, thanks to his brother. Together with fighting his mother on her lack of support in their family, this all has caused chaos. They’re both still hung up on each other. They can’t forget that one night they shared months ago, can’t ignore their attraction and quickly maturing love. They match in every way that matters, but time and time again their respective families are getting in the way. Are they willing to fight for each other? Is Kate ready to risk her comfort and everything else for love? Is Derek prepared to chose which battles are worth fighting for? Stephanie Witter is a French dreamer. She started learning English at three, and fell in love with the language. Always with a book, or two close by, she started reading in English when she couldn't wait any longer for Harry Potter to be translated in French. After a while, reading wasn't enough. 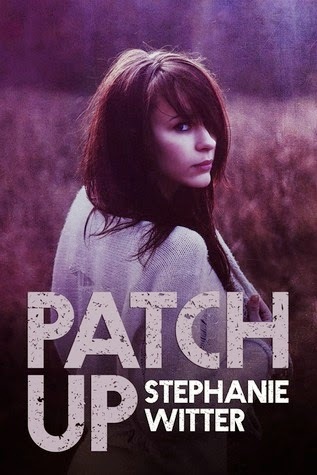 She started writing Young Adult and New Adult Contemporary novels and PATCH UP is her first New Adult Contemporary novel.